CYTO 2018: Awesome and interesting science in an awesome and interesting city. 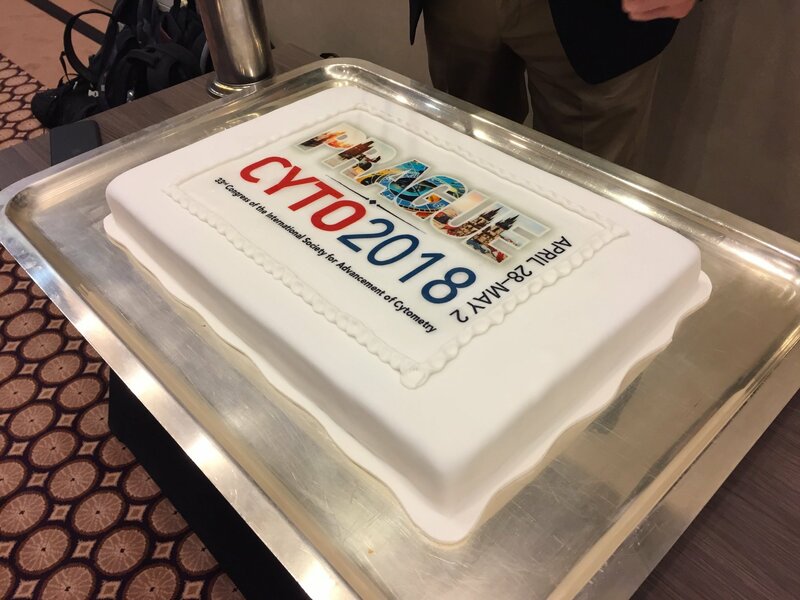 CYTO 2018 boasted a huge program, and it was impossible to attend everything you would want to. Common themes that were found throughout the conference included excitement and some trepidation of the emergence of new single cell genomic techniques and the concept of “genomic cytometry”, eagerness for the first look at spectral cytometry in action, a maturation and momentum for imaging mass cytometry and the related high dimensional analysis and data visualisation tools, and growing breadth of research occurring utilising microfluidic cell sorting technology. There were fantastically detailed and hands on scientific tutorials dealing with topics such as minimal residual disease in acute lymphoblastic leukemia (Mike Borowitz @ Johns Hopkins), spectral unmixing and compensation (Bartek Rajwa @ Purdue and David De Novo @ De Novo Software) and analysis of tissue ecosystems by imaging mass cytometry (Bernd Bodenmiller @ University of Zurich). There was a fiery, no-holds barred exchange of views (and, finally, data!) on mass vs fluorescence cytometry, but there was also careful and reasoned critique and consensus on reagent and sample handling / management in high-dimensional experiments, and the computational analysis methods such as tSNE. Not indicating that tools such as tSNE are not useful, but indicating the field has reached a point of maturity where these visualisation tools are carefully considered in their utility, rather than used without thought. A practical highlight was the benefits of instrument characterisation not only for instrument QC but also for the evaluation of fluorochrome panels. The utility of LED pulsars to QC and troubleshoot instruments was evaluated. The take home message is that on instruments a minimum PMT voltage can be determined using beads, LED pulsars and unstained biological samples. Increases in PMT voltage from the minimum voltage may not afford advantage. Decreases in PMT voltage below the minimum voltage can result in the loss of dim signals. All signals must be kept on scale and within the linear range of the detector. 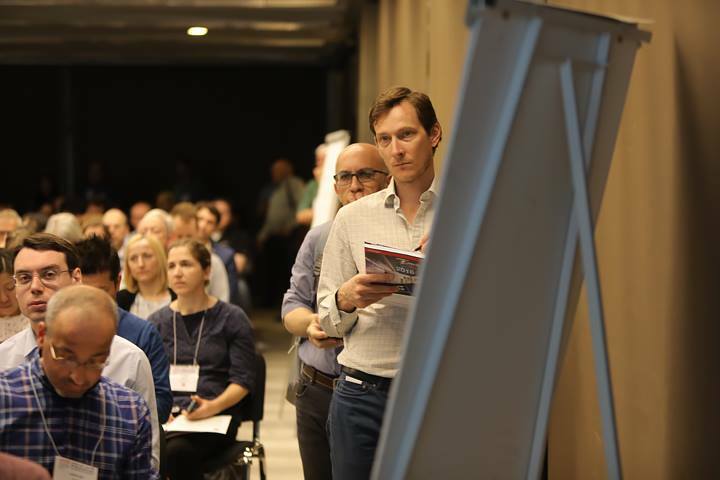 There were engaging and relevant plenary lectures, as well as informative exchange of ideas through workshops and satellite meetings. Of course, outside of the formal educational session, we had fantastic social and networking opportunities in one of the most beautiful locations in the world! Not to mention, great beer! 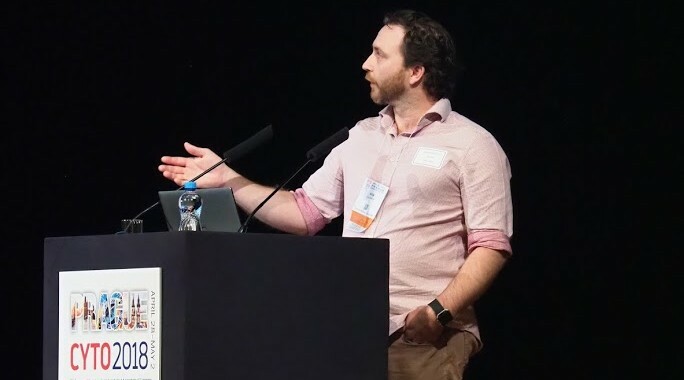 Chris Brownlee, Flow Cytometry Scientist from the Mark Wainright Analytical Centre at the University of New South Wales, Australia (pictured top) takes home a poster prize. Well done Chris! Although, some questions were asked about the qualifications of some of the judges (pictured bottom). Don’t forget to submit your abstract for the ACS2018 meeting in Adelaide where prizes for top presentations will also be on offer! of the data being generated. It is a project akin to the human genome project in size and complexity. sequencing was greatly improved by protein measurements. CITE-seq style kits and reagents will soon be sold by BioLegend, and an alternative AbSeq technique is currently being sold by BD Biosciences. 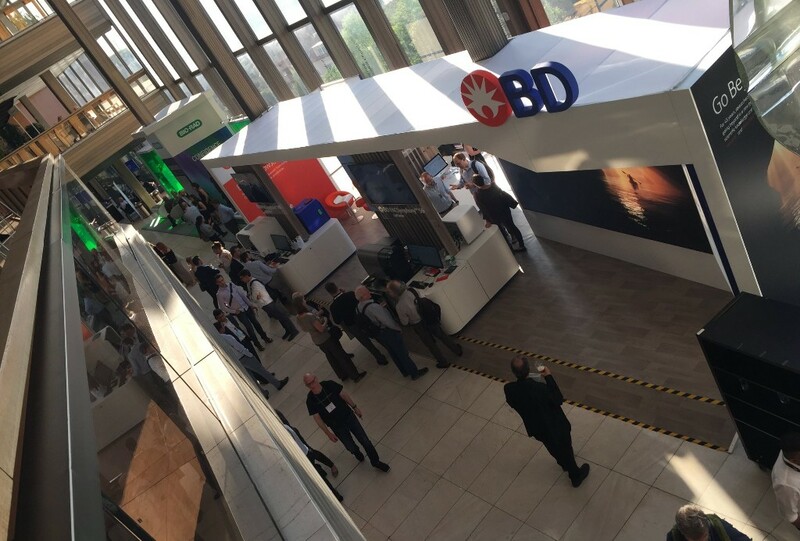 BD Biosciences have finally announced the much anticipated S6 cell sorter will be released to early adopter sites – one of which is in Australia at the Garvan! Meanwhile the CYTEK commercial tutorial was standing room only, and gave us the first look at real world spectral cytometry data off the Aurora, and it looked good! You can learn more about these and other new platforms at the trade exhibition and spectral cytometry specialist workshops at ACS2018 in Adelaide this year! On behalf of all ACS members, I congratulate Kylie Price on her election to the ISAC council. Kylie is the Head of Research Technology at Malaghan Institute of Medical Research Wellington, New Zealand and past president of the ACS. Kylie has been responsible for a number of important initiatives to advance cytometry and cytometry education in Australia and New Zealand, including the massively successful Wellington meeting (and a meeting manual to follow for subsequent meetings), roadshows, updated web presence, guidelines, education and more. Kylie has been very active in ISAC too, including contributions to the ISAC Live Education Taskforce, a CytoU course, numerous workshops around the world and as a member of the ISAC SRL Emerging Leaders Program Committee. 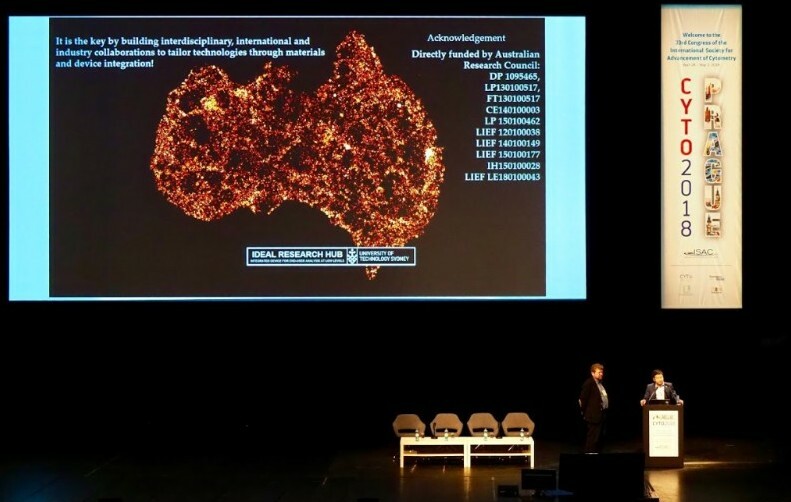 By joining the ISAC Council, Kylie will make an outstanding contribution to the advancement of cytometry globally, and will represent the interests of the Australasian region. Well done Kylie! Likewise Eva Orlowski-Oliver, Flow Cytometry Scientist and Co-Manager of the AMREP Flow Cytometry Core Facility at the Burnet Institute in Melbourne, Australia. Eva was one of five Shared Resource Laboratory Emerging Leaders recognised in the 2018 round – a prestigious and highly competitive honour and opportunity. Well done! 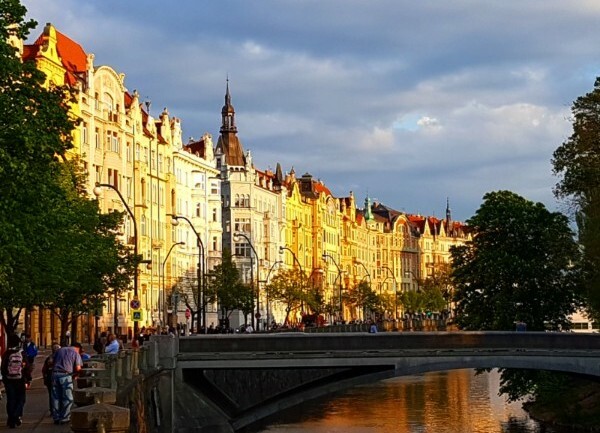 As we look forward to the 2019 meeting in Vancouver, I think we will look back on CYTO2018 in Prague as a landmark meeting for ISAC and for the cytometry field. We will not only remember the stunning beauty of this incredible city (and its incredible Pilsner! ), but remember this meeting for the dramatic and potentially disruptive new innovations in cytometry that were unveiled, and where the some of the emerging technologies began to mature and generate real-world data. With these new innovations hurtling down the pipeline it’s important that we all keep abreast of the changes. The best way to do that will be to register to attend the ACS meeting in Adelaide to hear from and network with the experts! See you there! with contributions from Thomas Ashhurst, Suat Dervish, Joanna Roberts, Robert Salomon, Adrian Smith, Michael Thomson and Maggie Wang.